When I came up with Tales from the Dev Side, I figured it would be a good way to solidify myself in the development community while also providing some entertaining insight to my readers. What I didn’t expect was thousands of page views and a reception so warm that it could double as an Easy Bake Oven. And it all started with Ian Stocker’s magnificent “Magic Seal Pelts” piece. It became easily the most popular, most linked to, most talked about article ever at Indie Gamer Chick. It also opened up the flood gates of developers changing their prices. We might never know if it was directly responsible for the recent change in price change policy for Xbox Live Indie Games, but I wouldn’t bet against it. Well, it’s been over a month and Ian is back to let us know how his pricing experiment played out. Since almost all games are priced at 80 MSP, this has become the normalized price to the buyer. Pricing at triple this is viewed as arrogant by customers, and you won’t even get them to download the trial. Having prices in Microsoft Points, instead of native currency, changes the customer’s mindset to thinking in terms of “how many games” rather than the real cost of each game. The publicity this article generated delighted our marketing department, but rankled my team of statisticians due to how it might corrupt the experiment. Personally, I was fine to tolerate some bad data in the service of making extra cash. In any event, there was a surge of downloads and sales immediately after the article and price drop, so I needed to figure out how much of this was due to publicity and how much of it would last. I wrote about the immediate results just over a month ago: revenue more than tripled at the lower price. Now that we have over a month behind us, and my article has been long forgotten by the customer base, we can see a more normalized level of sales. Let’s look at the month of January as a whole. There are a few remaining unsolved mysteries, however. 1. Why did sales start trending up before the price drop? The new dashboard rolled out a week before my price drop. In that time, I suddenly got a ton of new sales. I wasn’t featured on any dashboard promos, and the marketplace should have been in turmoil while people figured out how to get to their Game Type. Did I get a sudden raft of new traffic from Related Games? I have no idea. Did anyone else experience this? If so, please comment! 2. Why were sales higher in the first couple weeks after the price drop? Conventional marketing wisdom says that people found the game because of the article and increased exposure on the interwebs. Some forums such as NeoGAF and CheapAssGamer picked up on it, not to mention the reprinting of the article in Gamasutra. Simple, right? A bunch of people heard about the lower price and went to buy it. This is a tragic blow to my soothsaying reputation. One of my original positions was that conventional marketing does nothing for XBLIG games: being a world of its own, ads and media attention have little impact on sales. Well, I was probably wrong about this. 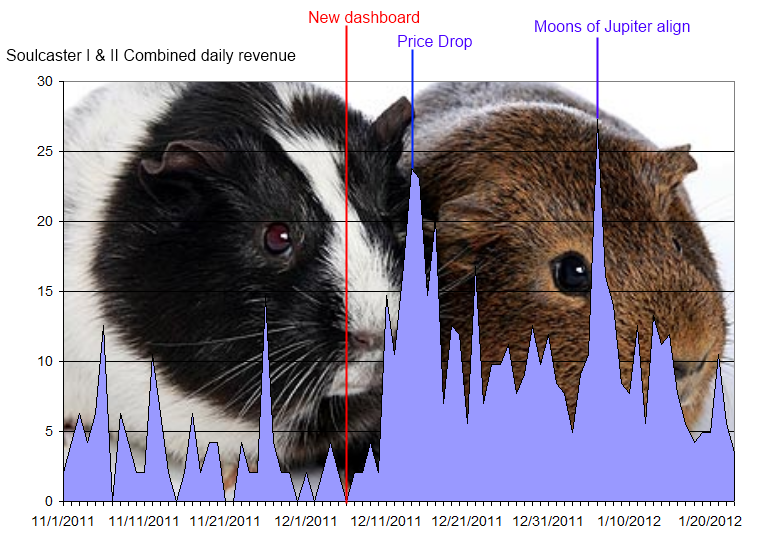 The spike in sales right after the price drop and publicity demonstrates at least some correlation between media attention and sales on XBLIG. Though I maintain that it doesn’t make a very big impact, I have to admit I underestimated the value of marketing for a game by placing it around zero. It’s definitely worth some time investment to get coverage. Did Top Rated position play a role? Soulcaster II climbed from #140 to #58 (a significant jump) but always sold a similar amount to Soulcaster I. In fact, Soulcaster II sold slightly higher than Soulcaster I in January, despite it being lower on the Top Rated list. I don’t mean to suggest that Top Rated means nothing, just that in my experience, it means less than before. Is There a Future for Games over a dollar? The big news since my article is that Microsoft has made the one dollar price point available to larger games. I think they realize that XBLIG has become the Dollar Menu of Xbox Live, and in almost all cases the games will sell better at one dollar than at three. With the stroke of a wand, they make more money and we make more money. Since the change, several other XBLIG’s dropped down to 80 MSP. Cthulhu Saves the World, according to Robert Boyd, saw sales jump from around $46 per day (at 240 MSP) to $109 per day (at 80 MSP). Also, check out this sales chart for Take Arms from Discord Games. “Doubled” doesn’t seem to begin to describe the impact the lower price has had there. Cthulhu can save the world much easier when he's priced competitively. So what happens to the higher priced games? Steve Ballmer rang me at home just the other day to ask me. I said, “Dude, you’ve gotta split the brand. Let’s do the Toyota/Lexus thing and offer two marketplaces. For the 80 MSP games we still have Indie Games, and for 240 and 400 points, let’s call it Indie Games Black Label.” Customer perception will change, and customers will tend to compare the higher priced games among one another. Dark Souls sold well at $60. Cassie’s Animal Sounds, basically the same game as Dark Souls, could have been priced up there as well, but, contending with customer perception, had to be priced at 80 MSP. If they split XBLIG like this, that brings us up to Five Game Types. That’s too many. So, the next logical step is to merge XBLA with the $3+ XBLIG games. Combine the ease of publishing of XBLIG with the features of XBLA and you have some very happy developers. And happy games come from happy devs. The Demise of Seal Pelts? At the time of this writing, there’s a very credible rumor that Microsoft may do away with Magical Seal Pelts entirely. Time will tell whether it happens or not, but as you can guess, I am 100% in favor of this. This would do away with the point-hoarding mentality and improve sales, especially for us little guys. With their latest move, Microsoft has solidified XBLIG as the 99 Cent Store of Xbox Live. Now, more than ever, having a game above 80 points will hurt your sales. Also, marketing does play a role, so if you drop your price, let everyone know. That reminds me! 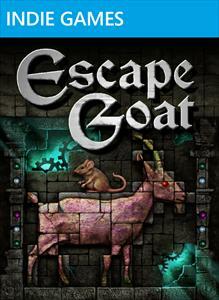 As of today, Escape Goat is now 80 MSP. 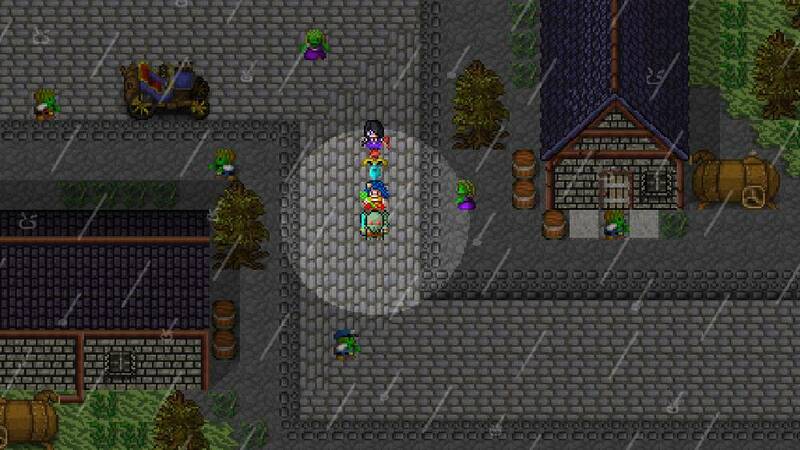 Has your game done better since dropping the price? Worse? Comment and help build my body of anecdotal evidence! Good read, but I don’t think you’re factoring in the Christmastime bump that XBLIGs seem to have. I’ve seen it on both my games now over two Holiday seasons: sales jump in December and the first half of January as the market gets flooded with new Xboxes and new Xbox users. And then they get bored and wander off, like everyone else. Great read. Lots of valid points, and your conclusion raises a great issue as well. Personally, I’d love to see a split XBLIG market, which I think would drive additional sales. I believe the issue stems from the fact that MS originally imaged the market as a showcase, and not an actual revenue stream. I don’t think Points vs Dollars has anything to do with it. I think the issue is that you’re forced to load your account in preset amounts of points/money. I think the vast majority of XBLIG sales are coming from people who load $10 or $20 onto their account and have a few dollars left over. A lot of people don’t like leaving extra points in their account, so they just spend it on cheap stuff. Whether it’s points or dollars, we’ll see the same behavior. If the rumored switch to real currency also enables you to just charge the exact price of a purchase to your credit card, that could severely hurt XBLIG. You’d probably lose most of the market using credit cards and just get the people buying point cards. Plus the change to real money means that, depending on the state you live on, you will be charged sales tax on every marketplace transaction you make. I forgot about that… I wonder if that would help or hurt XBLIG. You’ve now got odd amounts of money left over. You can’t buy a $15 XBLA game and a $5 one with a $20 card anymore. But with everything at odd amounts, it’s not as easy to clear out your balance. Maybe the incentive to zero out your account goes away. I am not from the US, but don’t you have to pay sales tax on the, say 1000 msp, you buy for your account? What’s the difference? You’re not charged tax if you purchase a card. Are you if you buy direct? It doesn’t seem like it. The value of Microsoft points in the UK and the US seems to match the exchange rate, whereas if tax was included I’d expect a pronounced discrepancy, since we have a much higher rate of tax than you do. Yes, if you by points from MS through LIVE you are charged tax. This will not get rid of the points system, because that is their work around from having to pay the tax. They aren’t and never will change to real currency. The reason they didn’t implement it in the beginning is because they avoid sales tax on all of the transactions. Multiply that by how many transactions you have each day, and well….you understand. Our sales were actually pretty low in December. We did the price drop early in January. So sales were over 5 times the previous month and trials were about 3 times as much. The figures would have been even better in January if the price drop was on the 1st and not the 4th. Another good read, Ian. Always a good combination of insight and humour. I had good sale spikes between mid december and mid january, without making any price drops or any marketing, of the order of about what your graphic shows.